The birds represent freedom, watching the world from a higher perspective, and when two of them are grouped chasing each other they symbolize that help will always be granted to the dear ones (and vice versa) The mate of an injuried pigeon is said to fly down on her mate to protect her with his wings even if this could possibly mean to be caught himself; they are a symbol of brotherhood too on this account. Waves represent change, stylized shark teeth are for adaptability and strength and koru are for life and new beginnings. 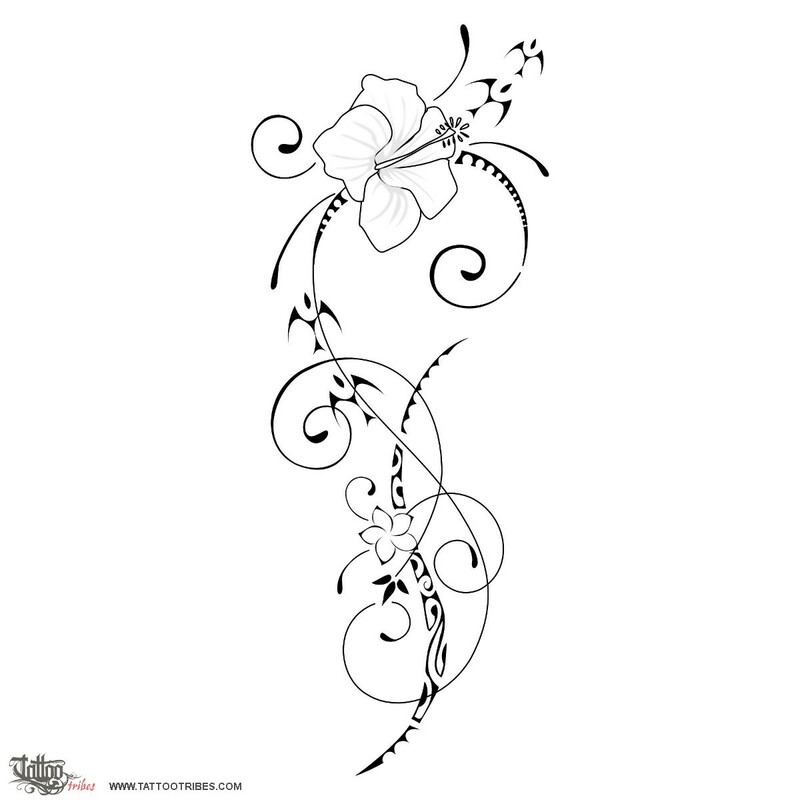 The stylized twist (above the frangipani) represents union and true love: two lives that even if separated at times, will always come back together in the end. A touch of colour could represent the beauty and colourfulness of life. 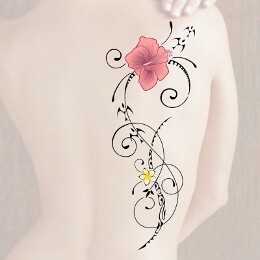 This design was requested by Janella.